In 2018 it has elapsed 25 years since the establishment of NUTRIM company. Over the course of its existence, nearly 200 products have been developed in the company - for special nutrition for athletes, for patients with various diseases, for workers under specific working conditions and for mass consumption. 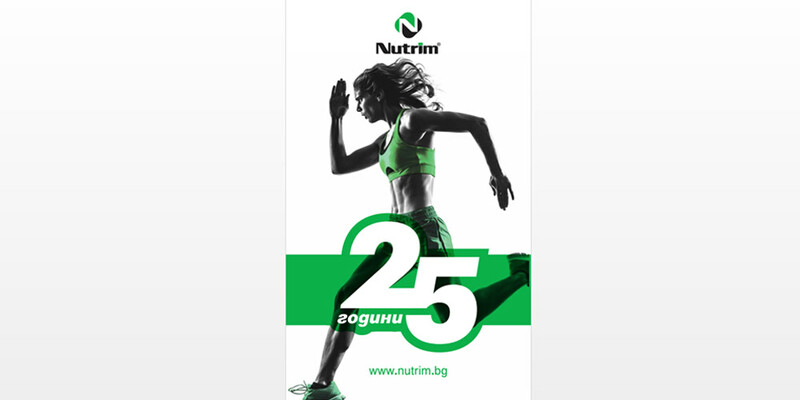 The NUTRIM slogan is often written after the company’s logo – “Better nutrition through research”. What is the secret for the success of NUTRIM? First NUTRIM was established in 1993 from highly competent scientists in the field of nutrition physiology and food technology. Secondly all NUTRIM products are developed after assessment of market needs and study of the latest consensus statements in the field of nutrition science. The R&D Department of the company formulates the products according to the metabolic requirements of the organism in different types of physical loads or in different diseases and examines them on specially selected experimental models. The results are published in reputable scientific publications. An integrated system for quality control and critical points in production has been introduced in the company – ISO 9001:2008 – HACCP. That means input control (analysis of all raw materials used in the production), precise control in the production process, output control (of the final product) and control of the distribution process. All that allows complete traceability and guarantees the indisputable qualities of the products. The company's modern base has created excellent conditions for meeting all the requirements laid down by the Food Law and they are fully in line with European legislation. Тhe production of the company is exported to more than 20 countries from Europe, Asia and America.